This Project was a renovation of the 7th floor Patient wing. 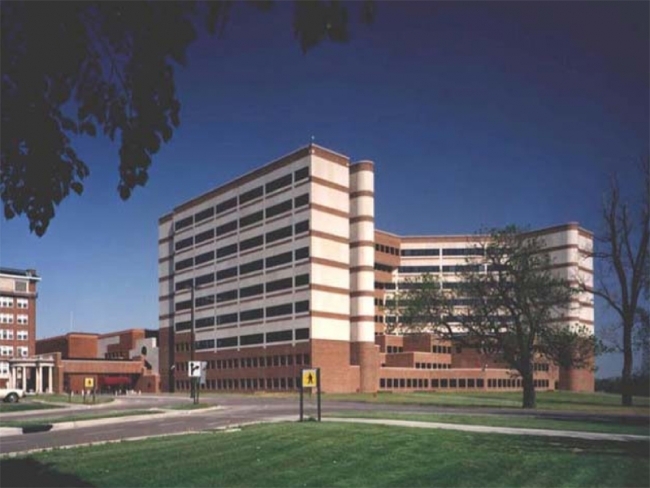 The work included: demolition of existing walls and adding walls to accommodate the new equipment requirements and increase size of support services rooms, Nurse’s station rework, all new finishes, new lighting fixtures, and rework of some HVAC systems. This project included the renovation and expansion of the Phlebotomy Lab and the creation of a Bio-Safety Level 3 Lab in an existing lab. The Phlebotomy Lab was made 25 percent larger and included new case work, a new pneumatic tube between the lab and ER room, and new finishes. The Bio-Safety Level 3 Lab was designed to Center of Disease Control (CDC) requirements. This included a new ventilation system with HEPA filters, sealed space with negative air pressure to contain contaminates, a safety shower, and the adding of two levels of containment for lab entry. The renovation included a new nurses' station and a new Pharmacy with all new finishes & lighting. Renovation of the existing Pharmacy Area to provide new Pharmacy Waiting including new finishes, ceiling, lighting, mechanical and electrical work. Renovation of existing space to create ICU Waiting area including new finishes, ceiling, lighting, mechanical and electrical work. Renovation of the existing Dialysis Suite to provide fresh look and rework support area’s, including new finishes, new nurses station, ceiling, lighting, mechanical and electrical work. For this project improvements were made by adding a new reception desk, lighting, floors, walls, ceiling and a new director’s office. Also modifications were made to the HVAC.